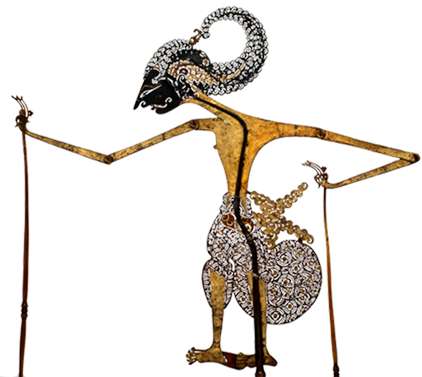 British puppeteer, artist, sculptor. Rod Burnett studied at Falmouth School of Art (1974-1977); he was a Fellow in Sculpture, Exeter College of Art and Design (1979-1980) and a Lecturer in Sculpture (1980-1982). He created large mechanical sculptures and moving small figures. 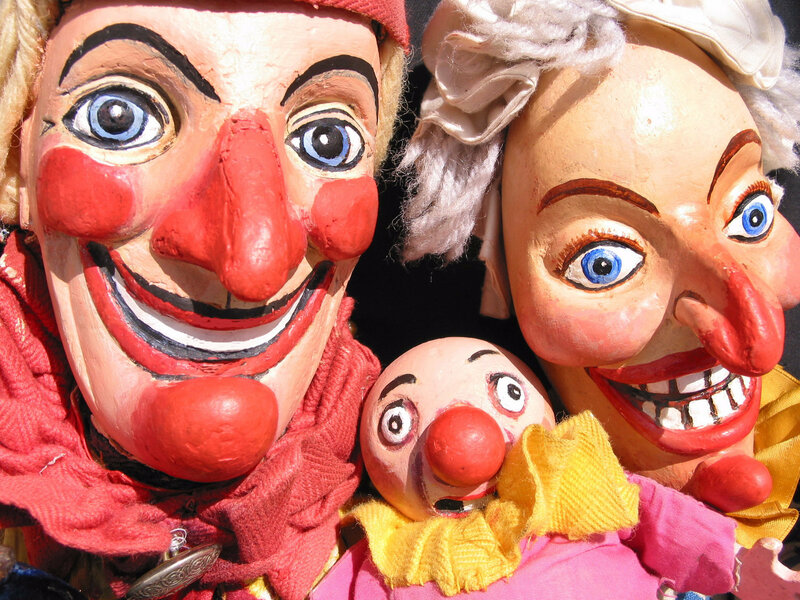 This led him to puppetry via an exploration of the Punch and Judy show. He completed his own version in 1979, his interpretation admired for its anarchic black humour, rooted in the commedia dell’arte tradition. Through the 1980s he performed on beaches at Dawlish, Burnham-on-Sea and Weston-super-Mare, followed by invitations to international festivals around the world. His shows were afforded the honour of a standing annual invitation to the Titirimundi Festival in Segovia, Spain. 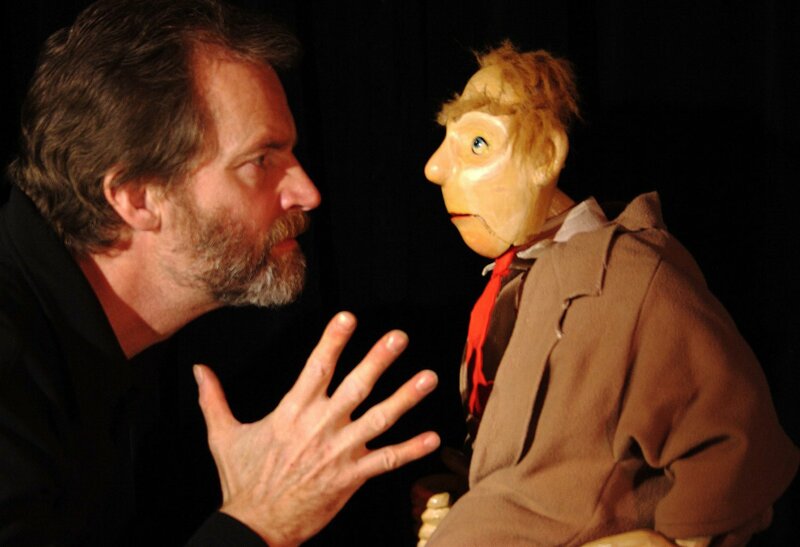 After working with the drama department at Exeter University, Rod Burnett formed Storybox Theatre in 1986 and built a reputation for inventive ideas played with precise performing technique. The work aimed to develop creative and imaginative thinking in its audience. 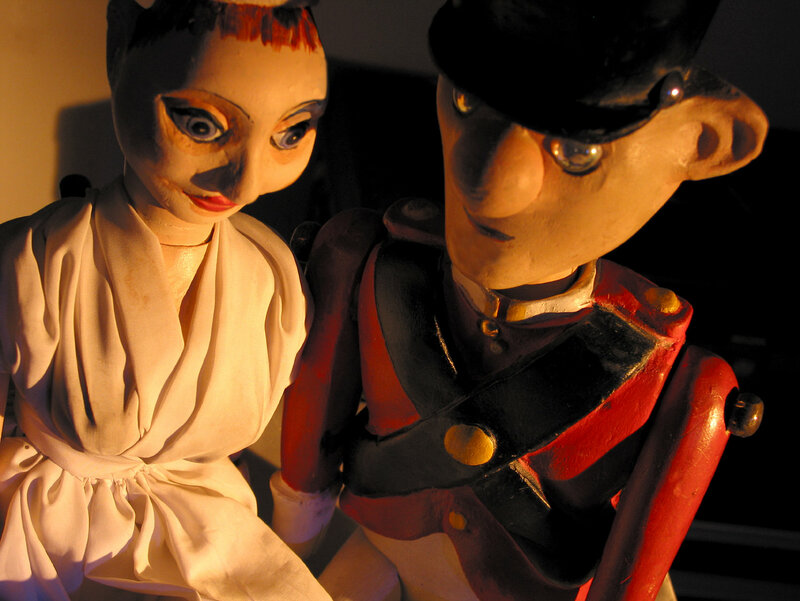 Among the Storybox shows were Tin Soldier (1986) and Snow Queen (1990). Designer and graphic artist Tanya Landman joined the company in 1991 and they collaborated on The Nightingale (1993), Pandora’s Box (1994), The Fisherman and his Wife (1995), Beyond The North Wind (1996) and Jumping The Moon (1997). 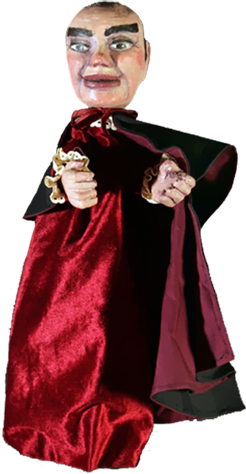 Next, the two formed the company Tantalus Theatre of Animation to create performances for an adult audience. These included Pandora (1998), Seven Ages (1999), Space Odyssey (2002). Tanya Landman began a successful career as a children’s author at this time and Burnett returned to solo shows, including The Mermaid (2000), Jack (2001), Space Odyssey 2002 (2002), The Pea, The Bean and The Enormous Turnip (2006), and 3 Pigs (2009). Storybox Theatre established a 6-month touring programme with one show from its repertoire, touring to 150-plus venues annually. Rod Burnett taught at the Institut International de la Marionnette (IIM) in Charleville-Mézières, France, in 2010 and 2011.